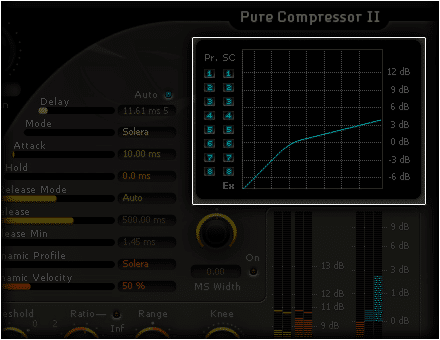 In addition to the common dynamics processing controls (ratio, attack, release, etc), Pure Compressor v3 offers control over the essential dynamics profile used, all in order to provide full control over the processing even in the most demanding situations. 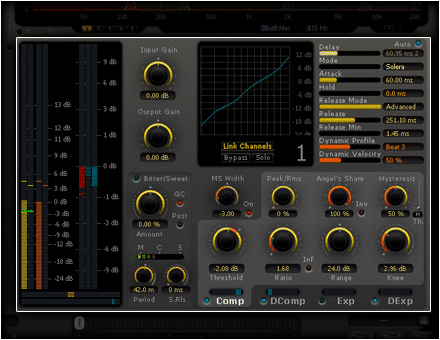 To control the actual Stereo width of the mix a built-in MS encoder/decoder is used to split the stereo-signal in its M and S components in order to control the actual stereo width of the mix. 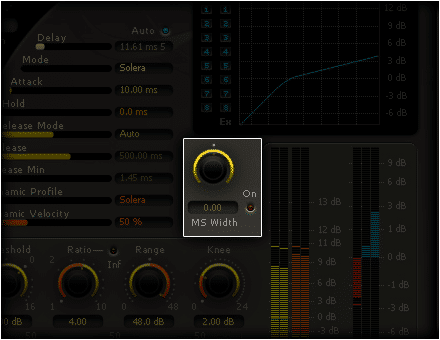 The MS Width Control – Sets the stereo width of the processed signal. 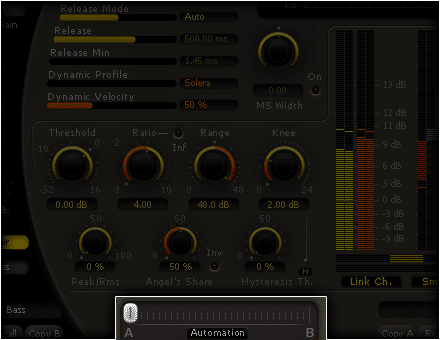 A -6 dB value deceases the stereo width. 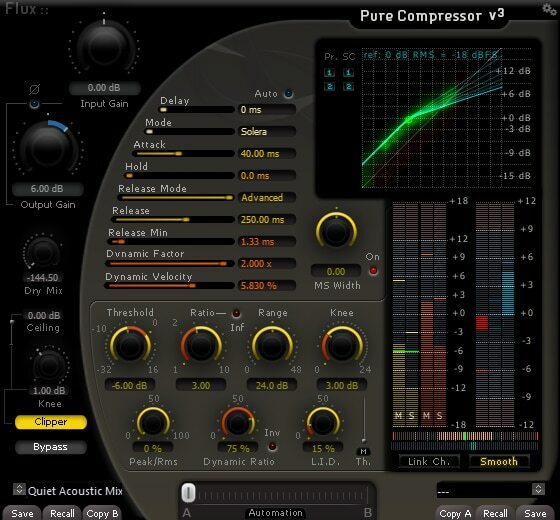 A +6 dB value increases the wideness of the stereo mix but can produce phase issue. 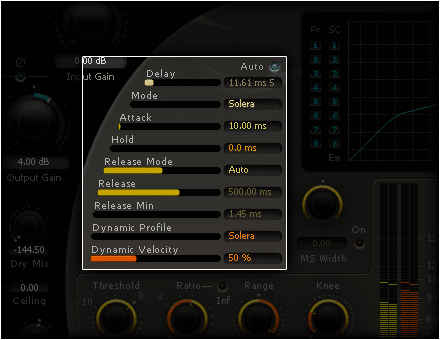 Level Independent Detection (L.I.D) controls the amount of auto-threshold determined by the signal dynamics and the manual threshold value, providing processing of the audio signal independently of the sound level and instead in regards to the signal dynamic range. A Maximum mode can be engaged on the L.I.D control, allowing for processing that accounts for the maximum values of both the standard and the L.I.D detection schemes. 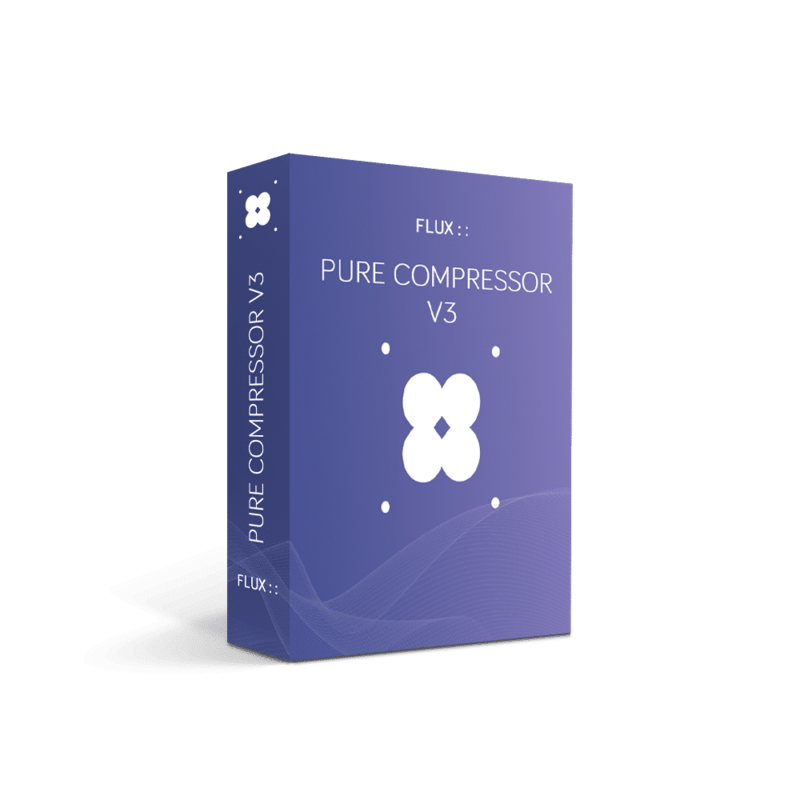 Pure transparent and discrete compression with the option to produce classic fat compression making it perfect for both creative mixing and production as well as for discrete mastering and post-production. AAX DSP Number of instances per dsp.